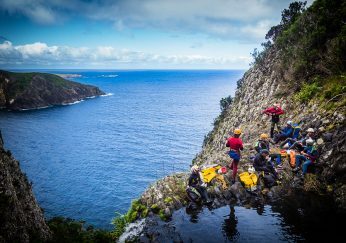 In March, 2014 The Rendezvous International Canyoning (RIC) in the beautiful harbour town of Port de Soller on the north west coast of Mallorca, Balearic Islands. 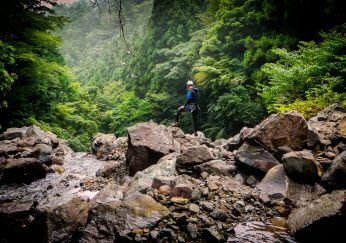 Over 180 canyoners joined from all around the world to descend the canyons as well as its underground routes, caves, countryside, jumps and slides that exit to the sea but also for the wonderful food. The event was a limited due to the limit place by the organisers in respect for the environment. RIC provided many discussions between the representatives of different countries: Spain, Italy, Belgium, France, Portugal, the Netherlands, the USA, Brazil, Greece, Germany, Belgium, Netherlands, Australia and Japan. Unfortunately drought and low water levels made the canyons a bit more dryer than normal but that didn’t stop anyone. The annual RIC event allows exchanges, information from each other and testing new materials and equipment that may have come up during the year. 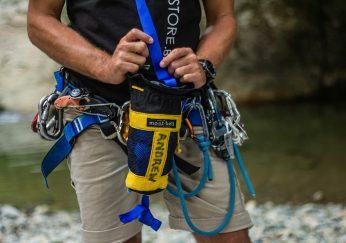 This year we could try the new Kong OKA with multiple adjustment options and shown the new Rodcle Pitor descender which interested and surprised everyone. 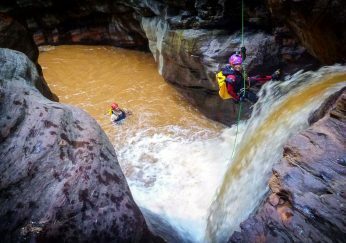 During the day everyone headed off to one of the many canyons and in the evening they met in the RIC base for canyoning equipment, having a beer, technical workshop or planning the next day of canyoning with other people from around the world. The evening sessions held at the renovated Maritime Museum were reserved for exploration and expedition stories, starting with the projection of the 2013 AOTEAROA film by the French expedition in New Zealand. Spanish explorers presented the results of explorations in Peru (shipping Gocta) and the current project as well as explorations in Nepal (Runchet Khola “Las entrañas del gigante”). 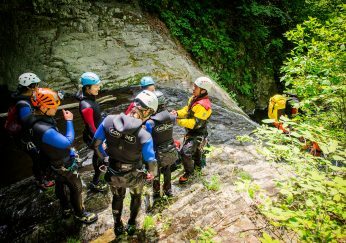 An evening was devoted to fiftieth year of partner explorations of the underground river of His Fosca recalling the difficulties met early explorers canyons and underground rivers. 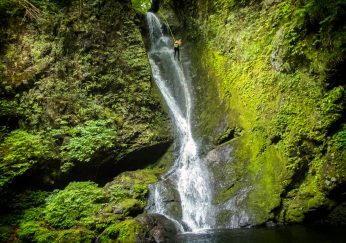 Among the major canyons of the island, three are particularly noteworthy which we enjoyed and heard so many reports from due to the landscape they offer but also because they join the link between canyoning and caving. 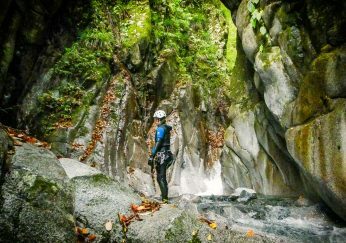 Torrent de Mortitx: A narrow canyon which cuts through the limestone mountain all the way to the ocean with the being a via ferrata course. Torrent de Biniaraix: A stairway all the way the way to the top of the mountain followed by successive waterfalls one after another all the way down. 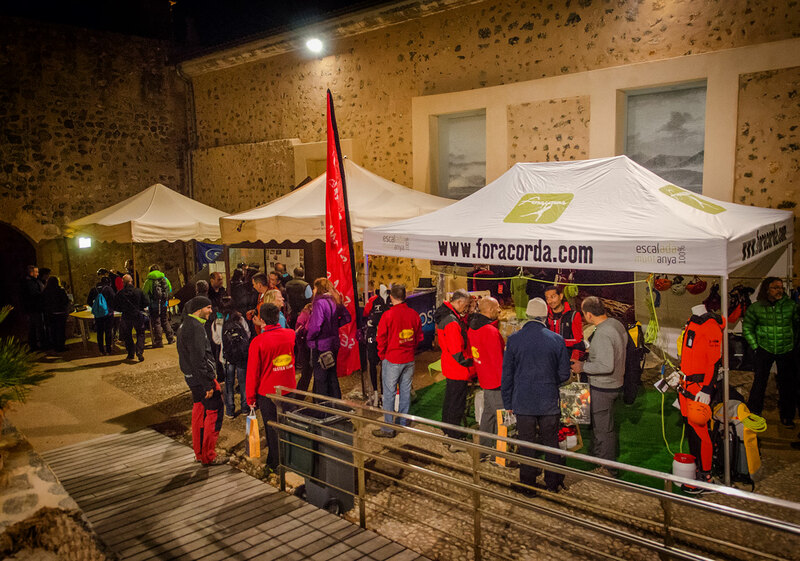 Gorg Blau – Sa Fosca: Celebrating its 50 years of exploration this year. 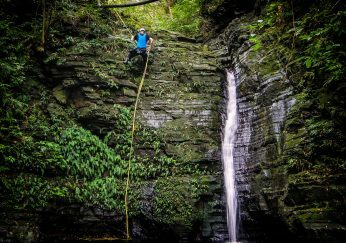 The first section of the canyon is open air while the second part sees the stream dig underground to an ever increasing long passage in the dark. The last evening with a sponsored dinner at one of the hotels for the closing party! 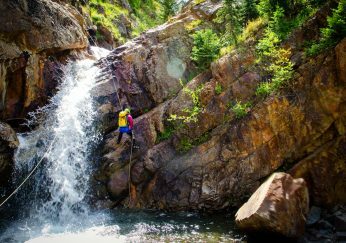 There was so many reasons to celebrate after doing so many canyons and there was over 1000 accident free descents during the week! 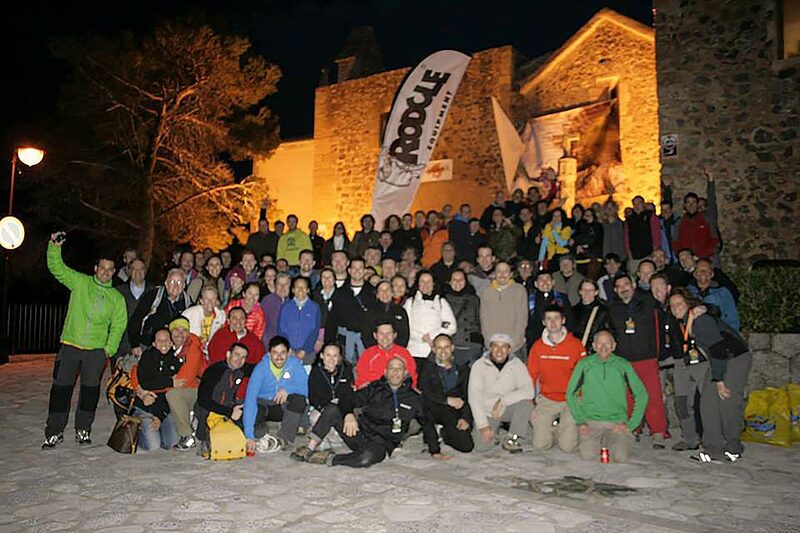 RIC is the highlight meeting of canyoneers from around the world every year. 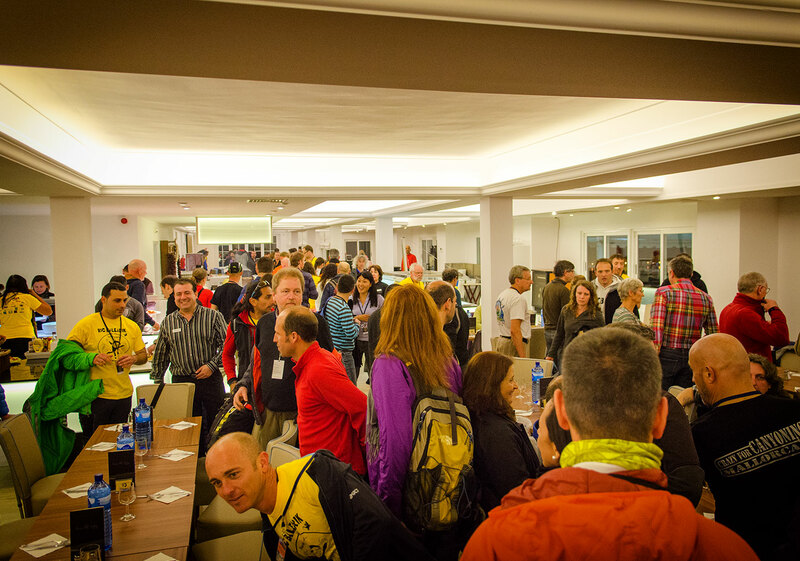 It’s the event to meet and make new friends, learn new ideas, see presentations from other canyoners and to enjoy this wonderful sport. Our special thanks go to Damon and the entire Balearik team, the incredible amount of time in setting up this wonderful event and to Marc from the FFS for inviting us to come along. The next RIC will be held in June 2015 in Colorado in the USA.